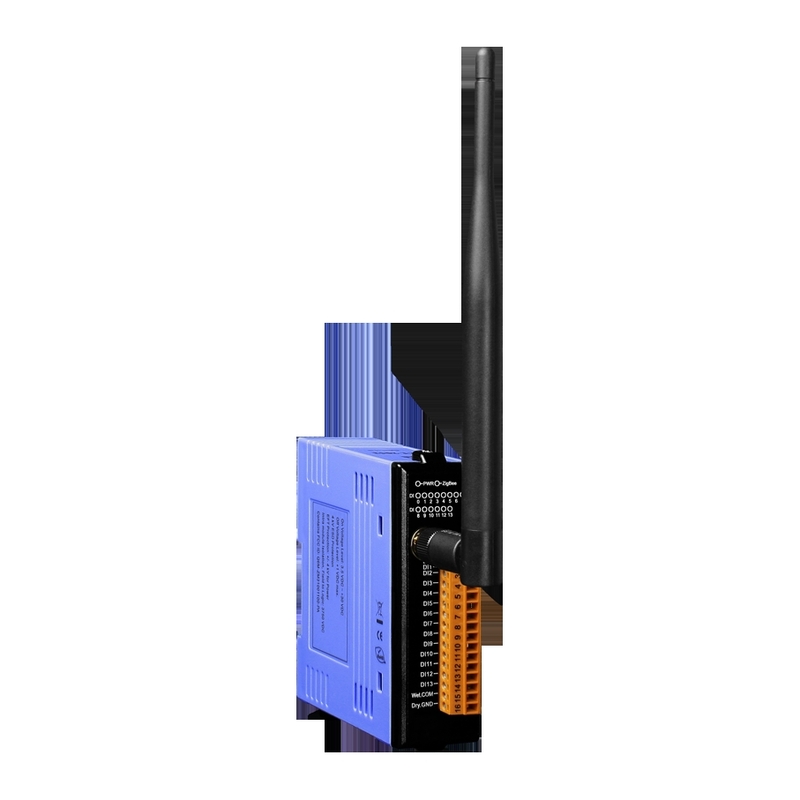 ZT-20xx-IOG series (referred to as ZT-IOG) is a series of ZigBee wireless communication module with Digital Input and Digital Output channels. The “IOG” in the ZT-IOG is the abbreviation for the I/O Group and means the multi-to-multi Pair-connection I/O modules. 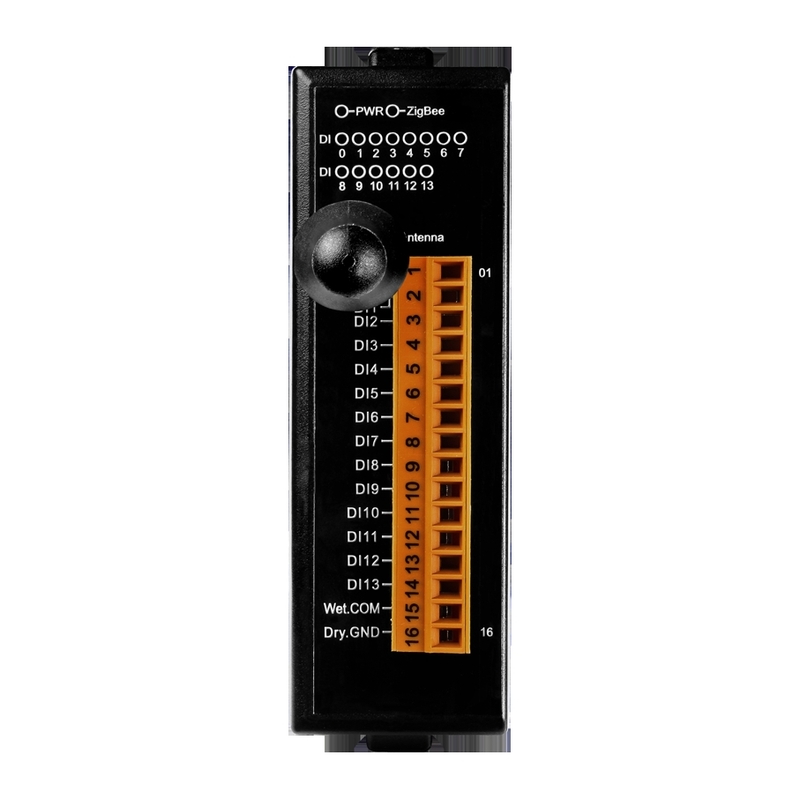 The ZT-2053-IOG module is one of the ZT-20xx-IOG series that provides 14 digital input channels. User can easily configure it as either a ZigBee Coordinator or a ZigBee Router via the external switches. The ZigBee Coordinator will serve as a message processing and distribution center. In other words, as long as any DI of any ZT-IOG module changes its channel state, it will immediately trigger an event and upload it to the ZigBee Coordinator for I/O updating logic calculations to determine the DO output states of the ZT-IOG system. Then, the ZigBee Coordinator will broadcast a message periodically to all ZT-IOG ZigBee Router modules for synchronizing all DO channel states to achieve the multi-to-multi I/O Pair-connection function. Effective Distance for Dry Contact: 500 m Max. Off Voltage Level: +1 VDC Max. Power Consumption 0.72 W Max.